on Thursday urged France, being a permanent member of the UN Security Council, to play its due role in resolving the long standing dispute of Jammu and Kashmir in accordance with the wishes of Kashmiri people and UN Security Council resolutions. dialogue with Pakistan and the Kashmiri people, said a message received here. 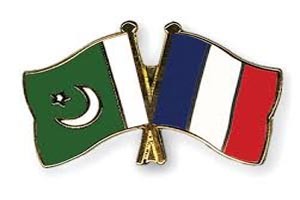 Jammu and Kashmir, Senator Raza Farooq and Rana Muhammad Afzal Khan expressed these views during their meeting with French parliamentarians at the French National Assembly. has been a wide spread repression and excessive use of force by the Indian Security forces in killing and maiming hundreds and thousands of innocent Kashmiris including children and women. the Indian occupation forces in Jammu and Kashmir. Indian occupied Jammu and Kashmir, they added. Monde and requested them for humanitarian and medical aid to the injured Kashmiris.